The new Softbox ranges of reusable parcel shippers have been setting down some industry markers. They represent the latest and greatest in their category, answering many of the shipping challenges that pharmaceutical businesses now face in the global cold chain. Meeting all temperature ranges and modes of transportation, these reusable parcel shippers offer unparalleled performance; the key lies in their utilisation of advanced thermal packaging materials. When combined, vacuum insulation panels (VIPs) and advanced Phase Change Materials (PCMs) provide greater robustness, thermal protection and temperature stability, ensuring product integrity and meeting increased regulatory compliance. Performance aside, these components reduce shipping weight and cost. Reusable design features improve sustainability by reducing carbon footprint and minimising packaging waste. Customer disposal costs involved in tedious destruction processes are also eliminated. Qualified to recognised industry standards, ultimately our reusable parcel shippers improve patient safety and offer simplicity and peace of mind to the pharmaceutical companies who use them. 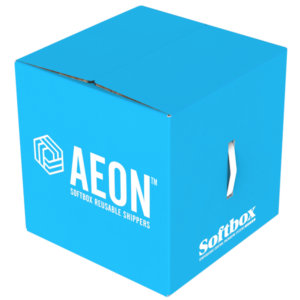 To meet the increasing demand for temperature and regulatory compliance as well as sustainability initiatives, our engineers and designers have developed the reuseable, high-performance AEON shipper range. This is a revolutionary product that is spearheading its category. These robust PCM parcel shippers leverage breakthrough thermal technology to establish reliable temperature control in extensive transit. Fundamentally, they ensure product integrity and patient well-being. But equally, they have been designed to improve sustainability, providing hassle-free preparation and use through a host of thoughtful, innovative design features. Skypod is a first of its kind in pharmaceutical logistics. 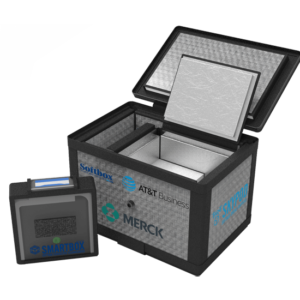 A thermally-insulated packaging system designed specifically to be carried by LTE/UAV-connected drones, this reusable parcel shipper was conceived to ship vaccines and drugs quickly to natural disaster areas and remote locations where access is fraught with complications. Leveraging the latest material advances in its production, this new parcel shipper protects the integrity of pharmaceuticals in transit, ensuring reliable temperature control and guaranteeing the delivery of life-saving drugs in their correct state for people to use. Embedded Internet of Things (IoT) technology tracks and monitors the state and whereabouts of each package.